One- and two-day workshops designed with your school community in mind. I have recently offered the following workshops. All presentations can be developed into extended workshops for a more in-depth and hands-on experience. For a listing of dates and locations where I have facilitated these workshops (and more), please see here. For a more detailed description, schedule and additional resources, please visit the workshop webpage. Our students are sharing their own unique passions and creativity in online spaces every day. We see them teaching others on YouTube, capturing unique moments on Instagram, creatively making connections on Snapchat, and collaboratively building (and then sharing) virtual worlds in spaces like Minecraft. So many (if not all) of these rich learning and sharing experiences are happening outside of school time – and completely separate from their world of school. How can we tap into their energy and enthusiasm for their own learning in an academic environment? Within the SAMR framework of curriculum development (substitution, augmentation, modification, redefinition), we will explore a variety of ways that young learners are sharing their passions in online spaces, uncover opportunities for bringing these kinds of experiences into our classrooms, and develop a deeper understanding of how creativity and innovation can lead to transformative learning. For a more detailed description, schedule and additional resources, please visit the workshop wiki. Teaching internationally can be a real adventure. The excitement, enthusiasm and challenge that comes with our everyday experiences are what makes teaching internationally so rewarding. You’re already a risk taker! One of the most exciting ways to take risks in your classroom is to use technology to redefine the way we teach and learn. The SAMR model of curriculum development highlights 4 phases of growth (between enhancement and transformation): substitution, augmentation, modification, and redefinition. Together with the workshop participants we will explore new ways to move towards transformation in your classroom. From new pedagogical approaches, to effective technology tools, to transferrable skills, and a deeper understanding of digital citizenship, we will use this workshop as another exciting opportunity to take a risk and try something new! For a more detailed description, schedule, and additional resources, please visit the workshop wiki. Using the backwards design process, learn how to embed authentic use of technology into a project-based learning experiences for your students. With a focus on pedagogy, explore the use of several web 2.0 tools like blogs, wikis, podcasts and collaborative multimedia in various classroom examples from around the world. Ease of use, accessibility, and authentic audience make these simple tools an engaging and motivating facet to any classroom. From project design to classroom management, enhance your students’ learning through a redesigned look at the 21st century classroom. For a more detailed description, schedule, and related resources, (including a recorded livestream of this presentation at Bridging the Gap, Yokohama International School, November 2009) please visit the workshop wiki. Embracing 21st century learning on a school-wide basis is a complex process. From developing a shared understanding of a 21st century learning environment to ensuring quality technological infrastructure to embracing a new perspective on teaching and learning, there are many pieces to this puzzle. From the individual classroom practitioner, to the technology facilitator, to the school administrator, this hands-on, project-based workshop will bring together the essential components of a 21st century school: Envisioning the Future, Pedagogy, Staffing, Community, and Infrastructure. For a more detailed description, schedule, and related resources, please visit the workshop wiki. Ready to “flatten” your classroom walls? Looking to take web 2.0 tools to the next level by developing exciting and authentic projects that allow your students to interact with partners around the world? It may be time to tackle a globally collaborative project in your classroom! Globally collaborative projects are an exciting way to engage your students in authentic and meaningful learning across cultures and continents. Successfully combining a variety of web 2.0 tools (like blogs, wikis, Skype, IM, social networks, etc) can remove the barriers of time and distance to connect your class with others around the world. Not only do students love to meet their far-flung peers, but learning to collaborate and create in an entirely online and inter-cultural environment will clearly be a critical skill for their future. Learn how to develop a successful global project – from design and planning to implementation and product, as well as see examples of engaging projects from all grade levels. Tips for success based on learning experiences from past global collaborations, along with resources and samples of current globally collaborative projects will be shared. For a more detailed description, schedule, and related resources, (including an audio recording of this presentation from the Learning 2.008 conference in Shanghai, China in September 2008, the livestream of this presentation offered at the MICDS Summer Institute in June 2009, and the full video of the K12Online 2008 version with Jennifer Wagner) please visit the workshop wiki. What exactly do RSS, blogs, wikis, podcasts, social networking and VOIP have to do with your professional practice? How can web 2.0 technologies change the way you learn, communicate, collaborate and teach? This workshop will focus on practical ways to utilize free web 2.0 tools to develop a personal learning network that will transform your professional practice and open your eyes to new possibilities in the classroom! For a more detailed description, schedule, and related resources, please visit the workshop wiki. 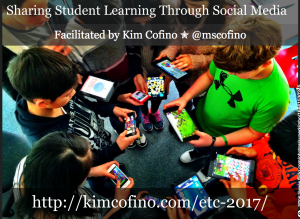 Are you ready to enhance your classroom environment through the use of digital media? Are your students interested in demonstrating their understanding and creativity through projects like movies, visual imagery, digital storytelling and podcasting? The potential of learning with digital media is both exciting and daunting: from developing a framework for students to build effective project management skills, to the evaluation and assessment of (and for) learning, using multimedia in the classroom requires careful thought and planning. This workshop will help teachers understand how to successfully and enjoyably bring the exciting world of digital media into their classroom environment. For a more detailed description, schedule and related resources, please visit the workshop wiki. Would you like to learn from a network of like-minded educators in your field – anytime, anywhere – for free? 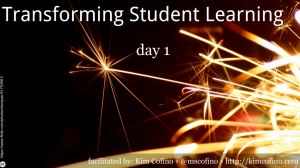 Building, developing and maintaining a personal learning network can have a profound impact on your teaching, make connections you never thought were possible, and prepare you for the rapidly changing future of learning. Unleash the power of networked learning in your classroom! Participants will explore new and innovative technologies, current research, and evidence about networked learning through engaging collaborative activities. Examples of networked learning “in action” using tools like Twitter, RSS, podcasts, blogs, and Diigo will also be shared in this hands-on, project-based, weekend workshop. For a more detailed description, schedule and related resources, please visit the workshop wiki. Explore exciting web 2.0 tools (like blogs, wikis, podcasts, Twitter, digital storytelling, and social bookmarking) through this project-based, practical 2-day workshop. A hands-on approach is emphasized with opportunities for learners at all levels to explore, discuss and model 21st Century pedagogy using digital tools. The focus of the workshop is for participants to design an engaging, technology-rich, collaborative project to implement in their classroom. Participants will work in teams on ideas and objectives including Web 2.0 skill building, global collaboration and project management, designed to flatten the learning experience. Break out sessions will include building a personal learning network and digital portfolio development, digital citizenship best practice, and enhancing your web 2.0 toolbox. This workshop is designed to open doors to new modes of teaching and learning and focus on the learner (teacher and student) as a communicator, collaborator and creator. For a more detailed description, schedule and related resources, (including the full video of the K12Online 2010 version of this presentation) please visit the workshop wiki.